Schwalmtal - Two weeks after his last official press conference, FC Bayern Munich coach Jupp Heynckes has made clear his intention retire from football. 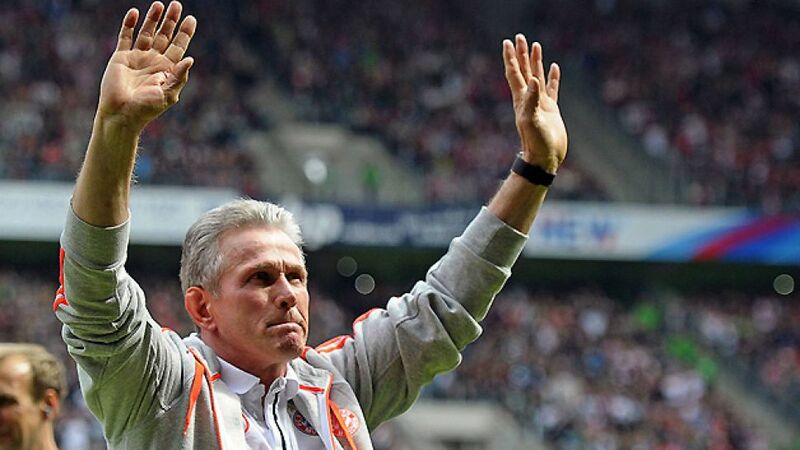 Since the announcement that he would be replaced by Pep Guardiola, Heynckes had remained tight-lipped on what the future would hold for him, but the man who led Bayern to an historic treble this season has decided to call time on a glittering career that included five Bundesliga titles and over 1,000 Bundesliga appearances as a player and coach. “I don’t like definitive statements, but I can assure you that I don’t intend to coach again," he told German magazine Der Spiegel. After a campaign of such unprecedented success, in which Bayern became the first German club and only the seventh overall to win a league, domestic Cup and European Cup treble, the 68-year-old believes now is the “right time for a generational change at Bayern. Pep Guardiola is 26 years younger than me and is a successful and sought-after coach. The club had to act fast”. The harmony among the squad that helped them to such astounding success in 2012/13 was no accident according to the Mönchengladbach native. “I think it had a lot to do with my style of leadership. The first time I took them for training, I said: 'Everyone has to do their bit in defence, it doesn’t matter who you are.' And it was clear to them that I was serious, and that if they didn’t pull their weight, they wouldn’t get to play." He also hoped that the collective success of his Reds team will be mirrored with individual recognition for the team’s most impressive members: “ Thomas Müller will receive lots of awards in the future, so I will vote for Philipp Lahm as German Footballer of the Year, Bastian Schweinsteiger for European Footballer of the Year and Franck Ribery as World Football of the Year."